On a busy day Harvington Hall attracts many visitors. As well as enjoying the history of the Hall it is a wonderfully peaceful and restful place. Someone once remarked that as soon as you cross the moat it can feel as if time has stood still here. If you have even a bit of imagination it is easy to sit quietly in the Hall and think about the people who once lived here. Sometimes I like to try and see in my mind’s eye what it must have looked like. A lot of posts on Tudor Stuff have focused upon the big players on the Tudor stage, King Henry and his wives, Queen Elizabeth, Thomas Cromwell or Shakespeare. Otherwise, we talk about religion, persecution, torture – events that still have echoes today. What about the ordinary folk though? I suspect that for the common people life (usually) went on, untroubled by events at court. What would it be like to talk to these people? – what would they tell us about their lives? 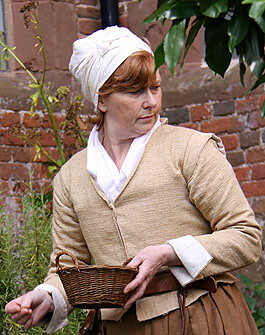 Let’s go back to 1608 and meet Susan, a lady’s maid. I am Lady’s maid to Mistress Abigail Packington. She is married to the Master of the House, Humphrey Packington and she comes from a fine family in Derbyshire, the Sacheverell family. My day begins early, before the sun is up. I make sure that my mistress has her clothes laid out to wear and that she has water to wash with. Mistress Packington says her prayers every morning before breakfast and I go with her to the little chapel in the house. The Master and Mistress like to keep to the old religion and so do I. After breakfast, I go about my duties. I have to look after the Mistress’ things and her own chamber. I make it my business to know what is going around the house and the mistress likes me to tell her what is going on. All of the servants have to look up to me and as I am responsible for helping the Mistress with her clothes and personal things I get to talk to her quite a lot – especially when the master is away on business. My clothes are quite nice too – I have a proper pair of shoes, an underskirt and a nice dress. I carry a lot of keys too – I know where the jewellery is and I am trusted by the Mistress. I am trusted with things that the other servants don’t hear about too. I was one of the first to hear that Mistress Abigail was pregnant, I was there this summer when the baby was born – a little baby girl. I was there at her Christening and at her funeral, poor little thing. That was hard on the Mistress. I know about things that happen here too, things that other folk don’t know and have no business knowing. I see the Priests that come here and I hear them say the Mass – poor things they are too! Some of them are so young; and they are so brave – especially when everyone knows what dreadful things will happen to them if they are caught by the priest hunters. There are so many treacherous people around these days, spies that would betray us – but they will never hear anything from me! That is all from Susan right now but over the next few weeks I will try to introduce you to a few more of the people around the Hall. PS – Historical note: The character ‘Susan’ is completely fictional. The above account is a creative mixture of fact and imagination. On the 23rd of June 1608 there is a record of the christening and burial of ‘Mistress Abigail Packington’ daughter of Humphrey and Abigail. Many of the posts I have done for Tudor Stuff have touched upon people who were outlawed for their Catholic beliefs; many of these people were fined, imprisoned, tortured or executed. In researching these stories I have often come across the name of Richard Topcliffe. Although this name is less well known today it was infamous in Elizabethan times for its association with torture and cruelty. The Topcliffes were an old family from Somerby in Liconshire, Richard was born in 1531 but orphaned when he was aged 12 and was placed in the care of Sir Anthony Neville, his uncle. It seems that Topcliffe may have entered the Queens service in some capacity before she ascended to the throne. Family connections helped him to become Member of Parliament for Beverley in Yorkshire and eventually secured him a role in the official investigation of those perceived to be enemies of the state. From the 1570’s onward, England had no shortage of external enemies but the most suspicion fell upon its Catholic minority. Special attention was given to the Priests who were being smuggled into England to minister to these Catholics, it was in the persecution of this group that Topcliffes talents were most often employed. ‘You know who I am? I am Topcliffe. No doubt you have heard people talk about me? So closely was Topcliffe associated with the practice of Torture that the term ‘Topcliffian practices’ became known as a euphemism for torture. There are many accounts of his involvement with this, and again it is easy to get the impression that he took personal enjoyment from this. He is known to have had his own ‘stronge chamber’ in his London house where he boasted that he kept a personally designed machine for torture – ‘compared with which the rack was mere childs play’ – we can only guess what form this machine may have taken. 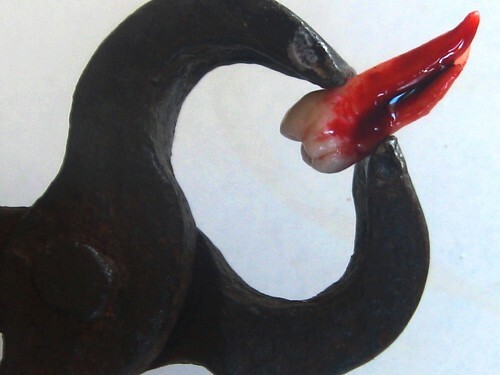 It is also likely that he helped to pioneer the use of manacles, a ‘lesser torture’ than the rack but still devastating in its effect upon victims. Although he was useful to the Elizabethan state it seems likely that there was no love for a man who may have been considered a necessary evil. 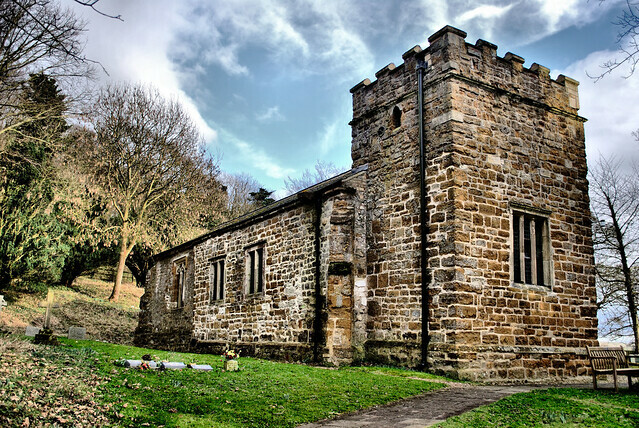 In his later years Richard Topcliffe retired from London and spent most of his time in his estates in Yorkshire and at Badley Hall in Derbyshire where he died in 1604. There are no pictures of Topcliffe that I know of ( unless anyone can correct me?). I though it appropriate to use images of torture instead. Also, as an Amnesty International supporter I have added a link to their information about torture – sadly, there are plenty of modern Topcliffes still at work. Across the UK there are said to be around a hundred old houses which still have a Priest hole. Harvington Hall is famous for it’s seven hides – more than any surviving house. Several of these hides can be seen by visitors to the Hall today. Visitors who don’t suffer from claustrophobia (and who are also fairly thin!) are allowed to enter one of the hides when accompanied by a guide. You can see the entrance to the staircase hide in this post (well sort of, you have to come to the Hall to really see where it is!). This time I thought it would be good to let you see inside the biggest hide at the Hall, but I can’t show you the entrance – again, come to the Hall and someone will be happy to show you this. 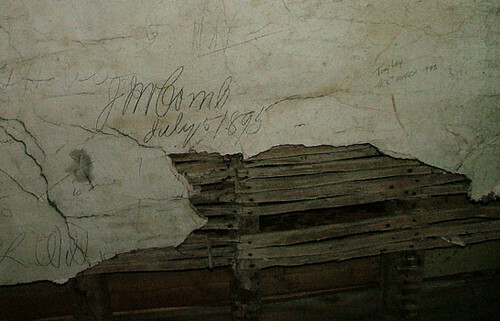 Grafitti in the Attic - 114 years & 3 days old! A hide in the ceiling space. 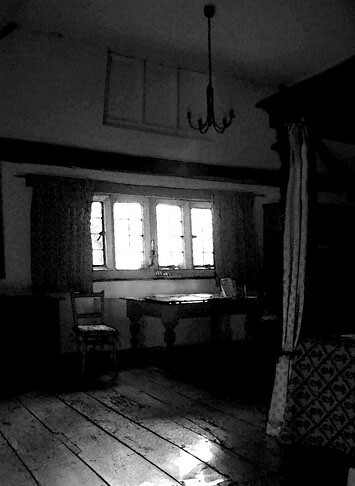 In an earlier post I used this picture (very top of this post) of a bedroom at Harvington Hall. What I didn’t mention at the time was that anyone standing in this room would be very close to a hiding place – so close that they could be overheard by anyone in the hide. The room has an unusually high ceiling, and it may be that it’s height is intended to disguise the fact that just above is the largest hide in the house. The attic, a disorientating place to be. Entered through a secret passage in one of the bedrooms, the rooftop hide is by far the biggest hide at the Hall. As soon as you enter the attic space you are confronted by a jumble of beams – it is quite easy to become disorientated as to your whereabouts in relation to the Hall below. Of course, this confusion served the purpose of the hide builder perfectly. The end of the roof space? The rooftop hide (in common with several other such hides at Harvington) is assumed to be the work of Nicholas Owen, the master builder of such places. At one point there is a false hide, intended to confuse searchers and recognised as a trademark of Owen’s. At the end of the building one comes to a wall, at about chest height there is an entrance to a large space beyond. At one time this entrance had hinges and a bolt, any searcher coming across this may well have assumed that they had reached the end of the building. In John Gerards autobiography he describes a similar hide in a house in London which was ‘built in a secret gable in the roof’ and that he had occasion to use during a search in July 1599. There is no record of Harvington ever having been searched – which is perhaps a little strange because the owner of the Hall, Humphrey Packington was known to the authorities as someone sympathetic to the outlawed catholic cause. Like a lot of the stories about Harvington Hall, the truth is only partly known and to a great extent the Hall keeps it’s secrets to itself – I feel quite sure that the original builders would be quite satisfied with this. One story about this hide is that the Hall was visited a few years back by people who had been held as prisoners of war at Colditz castle. There is a famous story that they built a glider in the attic of the castle, planning to use this in an escape attempt ( click here for more about this story). Apparently, these visitors were shocked to learn of the similarities between their hide and the one at Harvington. Many of the techniques developed to disguise the entrance to the Colditz hide had been thought up over 300 years earlier by whoever built the hide at Harvington. 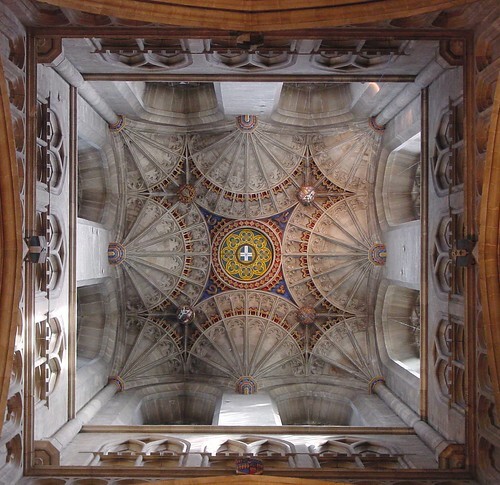 Priests bedroom - imagine the ceiling has vanished & this is what you might see? which had been made higher than usual to allow as many as possible to view the execution. form of execution. It was a mercy that was not needed because the crowd surged forward and pulled his legs to hasten his end. the relic and it was suggested that a ‘Popish’ painter had forged the relic. it might be interesting to try and re-create the straw which is the picture you can see at the side of this post. On the morning of the 3rd May 1606 Father Henry Garnet was executed at St Pauls churchyard in London. The Stuart authorities, determined to blame the Jesuit order for the recent gunpowder plot had hunted down the fugitive Priest. Garnet had been condemned to the traitors death of hanging, drawing and quartering following what would today be labelled a show trial. Garnet was dragged from the Tower of London through the streets on a hurdle to his place of execution – a scaffold which had been made higher than usual to allow as many as possible to view the execution. In an act of mercy King James had ordered that he be allowed to hang until dead so as not to suffer the full horror of this form of execution. It was a mercy that was not needed because the crowd surged forward and pulled his legs to hasten his end. Garnets body was quartered as was the custom but when his head was held up to view there were no cheers from a restless and uneasy crowd. A hidden reference in Macbeth? There is a suggestion that the following lines from Macbeth refer to Garnets execution, and if so, this helps to date the play to sometime just after the execution. Garnet was famous for his ‘equivocal’ answers to questions put to him – not telling direct lies but obscuring the truth in order to protect others whilst ‘Farmer’ was one of his aliases. have napkins enow about you; here you’ll sweat for’t. knock! Who’s there, in the other devil’s name? yet could not equivocate to heaven: O, come in, equivocator. here you may roast your goose. After the execution a piece of blood stained straw was taken as a relic. It was said that a young Catholic in the crowd took the straw to a Tailor called Hugh Griffin. It was only later, when the blood had dried on the straw that people noticed that the stain looked like a human face. On closer inspection it was thought the face looked like Garnet. As Garnet was now a martyr it was inevitable that the image on the straw was viewed as a miraculous happening. The authorities were horrified that a man viewed by them as a traitor was being celebrated in this manner. Immediate efforts were made to try and capture the relic and it was suggested that a ‘Popish’ painter had forged the relic. The straw was eventually smuggled out of England and ended up in France where it disappeared forever – some time during the French revolution. An idealised likeness of the straw can be seen behind Garnets picture at the top of this post, I thought it might be interesting to try and re-create the straw which is the picture you can see at the side of this post. Mysterious faces in strange places. Of course – we have no way of knowing exactly what Garnets straw really did look like and a martyrs face on a straw may seem a strange idea. However, this story reminded me of a recently found image. 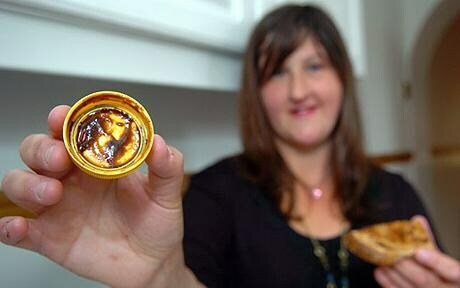 In May 2009 a family in Wales claimed to have seen the face of Jesus on the underside of a lid of marmite. If this sort of thing still happens quite regularly today then it is perhaps no suprise that people from earlier and more traumatic times saw such things too. the tower to the other side of the moat. also to John Lillie a Catholic sympathiser. On October 3rd, 1597 Gerard and Arden were allowed to spend the evening together. about to make contact,a man came from a house below and assuming the men were fishing began to engage them in conversation. were saved by the presence of a large sea going boat and the skills of a group of sailors who managed to rescue them. Gerard had recently been tortured by being suspended in manacles, which made a hazardous descent even more difficult. waiting boat which was rowed at speed away from the Tower of London. any Hollywood producer who happens to read this! 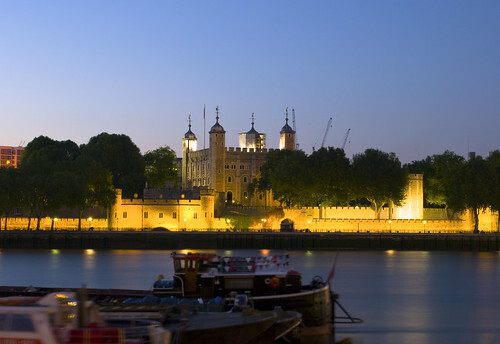 In 1597 the Tower of London was the scene of an incredible and daring escape. Had this happened recently it would end up being re-enacted by Hollywood. As it is, this is a little known event – but hopefully, a better known one when you have read this post. Having been betrayed and captured by Pursuivants, the Jesuit Priest John Gerard had been imprisoned in the Tower of London, awaiting trial for alleged treason. Gerard had been facing accusations that he had tried to turn people from loyalty to Queen Elizabeth. As part of his examination, he had been tortured which had left him in a weakened physical state. Had he eventually been found guilty then he would have faced a terrible execution. A decision was made that Gerard would try to escape – but how could this be done? After bribing the warder, Gerard had been allowed to visit and conduct mass with a fellow Catholic called John Arden who had been imprisoned following accusations of involvement in an anti-Government plot. Gerard was being held in the Salt Tower – across a garden from the Cradle Tower, where Arden was being held. Whilst visiting Arden, Gerard realised that the Cradle Tower was close to the outside wall, overlooking the moat. Gerard calculated that with outside assistance, it might be possible to lower oneself by rope from the top of the tower to the other side of the moat and freedom. A letter (written partly in orange Juice) asking for help was smuggled out to Richard Fulwood, an old servant of Gerards, and also to John Lillie a Catholic sympathiser. Between them they helped to work out a possible, but dangerous escape plan. A failed escape – which nearly ends in tragedy. On October 3rd, 1597 Gerard and Arden were allowed to spend the evening together. As soon as they warder had gone they began to loosen the stone around the bolt on a door leading to the roof of the Cradle tower. They reached the roof at midnight, in time to see a rowing boat containing three men approach the walls. As they were about to make contact, a man came from a house below and assuming the men were fishing, began to engage them in conversation. 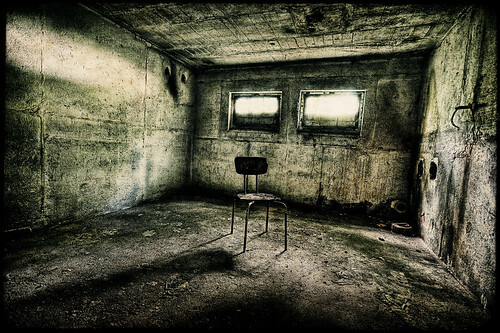 Gerard waited patiently for the man to leave but by the time he departed it was too late for an escape that night. Meanwhile, the tide had risen on the Thames and as the men rowed back towards Old London Bridge they were pinned by the rising water against the piles of the bridge. At this point there was a danger of the boat capsizing – drowning the would be rescuers. Luckily, they were saved by the presence of a large sea going boat and the skills of a group of sailors who managed to rescue them. Thinking that the escape was doomed, Gerard was suprised to hear next day that the rescusers were going to try again. Waiting again until they had been locked in the Tower together, Gerard and Arden climbed onto the roof. Throwing down a weighted cord they raised up a rope that had been tied to it by the rescuers below. The plan had been to slide down the rope but the angle it made meant that instead the escapers had to pull themselves hand over hand along its length. It is worth remembering that Gerard had recently been tortured by being suspended in manacles, which made a hazardous descent even more difficult. After his companion managed to climb down, Gerard realised that the rope which had been straight was now sagging – making the climb even more difficult. Holding the rope between his legs, Gerard pulled himself out from the high roof. Half way across he became exhausted and at one point was left hanging in the darkness, strength failing. Incredibly he managed to struggle on, reaching the end of the rope too weak to pull himself up without help from Arden. Gerard was assisted into the waiting boat which was rowed at speed away from the Tower of London. Escape and exile from England. Gerard was eventually smuggled out of England and escaped to live the rest of his life as an exile in Rome. 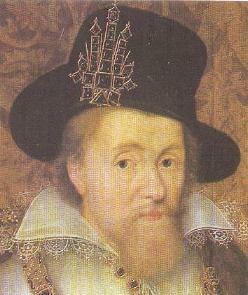 Here, he wrote his life story ‘ The Autobiography of an Elizabethan‘ from which the above account is taken. His book is packed with stories about his life in Elizabeths England – well worth a read if you are interested in this period. Also, if you do read it then pass it on to any movie producers you come across as this would make a really great historical epic! 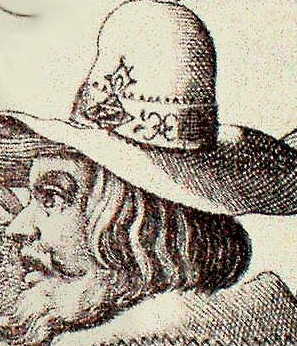 Robert Catesby - leader of the Gunpowder plot, son of Anne Throckmorton of Coughton Court. Members of the Throckmorton family from Coughton Court (See our earlier post) were involved in the Gunpowder plot, along with other Catholic families in the Midlands. The ‘Powder Treason’, or Gunpowder Plot, of 1605 was a failed assassination attempt by a group of English Catholics belonging to the gentry, against King James I of England and VI of Scotland. The plot was intended to kill the king and his family, and most of the Protestant aristocracy in a single blow, by blowing up the Houses of Parliament during the State Opening on 5 November 1605. 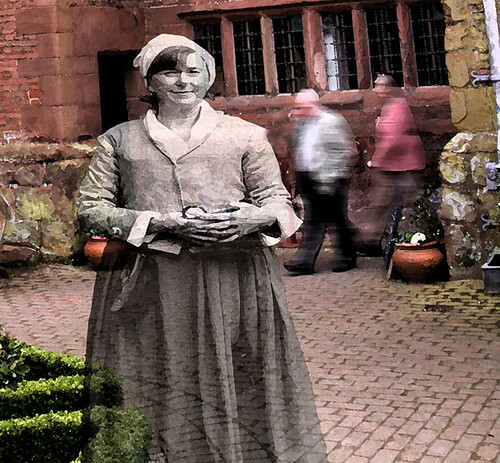 The conspirators had also planned to kidnap the royal children, and lead a popular revolt in the Midlands – before installing Princess Elizabeth, the eldest daughter of King James, a child at the time, on the throne. She was to be Queen Elizabeth II, a Catholic Queen – having been converted by her guardians. This was not to be – however our current Queen Elizabeth II is directly descended from this Princess Elizabeth rather than her brother Charles I who took the throne after James I. Early in the morning of the 6th November In the cold early hours of November 6th, Thomas Bates, servant to Robert Catesby, who had been overseeing the plot from May 1604, rode over the moat bridge of Coughton Court. He climbed the stairs to the Drawing Room where a group of people, all closely involved in the then illegal Catholic community, were waiting for news. There were two Jesuit priests – Father Henry Garnet, who had celebrated a clandestine mass for the Feast of All Saints in the house just a few days before, and Father Oswald Tesimond, the confessor to Robert Catesby. Nicholas Owen, the priest-hide builder, was also present. Thomas Bates told them that the plot had failed, and that the conspirators were now running for their lives. 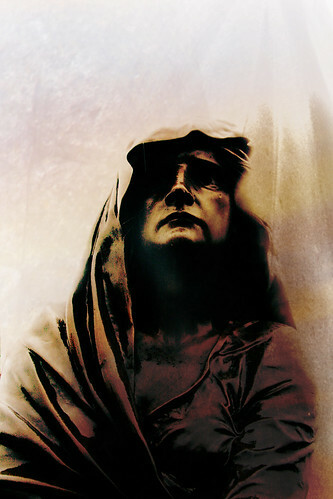 Father Garnet had warned against the plot from the beginning on a matter of principle, and had said that the failure of the plan could only mean extreme hardship for the already beleaguered Catholic community. Despite his opposition Father Garnet was implicated in the Plot and later captured at Hindlip House along with Nicholas Owen. Father Garnet was executed, whilst Nicholas Owen died under torture in the Tower – without ever revealing the secrets of the hides he had built at Coughton, Harvington and elsewhere.